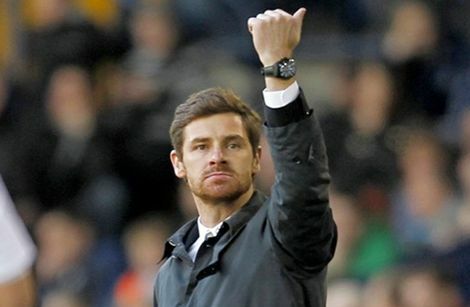 Andre Villas-Boas’ troubled time in England has finally come to an end after yet another Chelsea defeat proved just one too many for his paymasters. Roman Abramovich has arguably been more patient than usual, but still with the same outcome. He won’t care unnecessarily about the money, but this has been a hideously expensive disaster. Good luck to the next permanent manager who tries to tackle the Chelsea training ground bosses, Messrs Terry, Drogba and Lampard. You’ll need it. Roberto di Matteo is the caretaker manager for the ‘interim’. Caretaker managers are peculiar things; they are generally not wildly successful managers or have no experience in the hotseat at all, which is why they are in the backroom staff. Odd, then that they should be entrusted with the reins of multimillion-pound businesses for any length of time. Which brings us to Terry Connor. Wolves might yet regret sacking Mick McCarthy, and even more so not securing the replacement they wanted, after they were spanked 5-0 at Fulham – with the adverse effect on their goal difference taking them into the bottom three. Pavel Pogrebrnyak’s hat-trick took the Russian’s tally to five in his first three games, a super return from the new signing who has taken no time at all to settle into life in London. Just over a week ago, Spurs were 2-0 up at Arsenal and contemplating assuming a 13-point lead over their fiercest rivals. Now they sit just four points clear after two wretched Sunday afternoons in a row. Their home defeat against Manchester United was cruel in the extreme, but just when Harry Redknapp’s needed his side to demonstrate their credentials they came up short. For the visitors, it was merely confirmation that they are going to battle their city neighbours all the way for the title; indeed, if anything the read half of Manchester has an easier run-in to negotiate. Ashley Young’s brace of brilliantly-taken goals were his first in the league since August – but show he is coming into form at just the right time. Liverpool will empathise with Spurs, having dominated their visitors only to fall to a last-minute winner against Arsenal. As he often has been this last fifteen months or so, Robin van Persie was the difference. In the big Tyne-Wear derby, Lee Cattermole did what he does best – get sent off. He may have managed to achieve his latest suspension when the game was actually over, but it’s nice to see that a change of manager hasn’t changed the player. Sunderland very nearly stole the honours but Shola Ameobi snatched a late point to cancel out Niklas Bendtner’s earlier penalty.